The officers of Kuje Medium Security Prison in the Federal Capital Territory (FCT) have arrested a female visitor to the prison for attempting to smuggle substances suspected to be cannabis and tramadol into the prison yard. 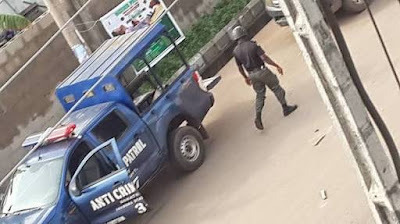 One Miss Blessing Chinwuba concealed the prohibited items in a carton of neatly packed indomie wraps, probably to beat security. 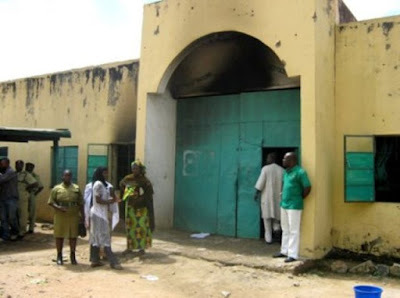 According to a statement issued by the FCT Prison Command Public Relations Officer, Chukwuedo Humphrey, she was arrested by prison officers at the gate lodge before she could pass the items to one Mr. John Ifeanyichukwu, who is a prisoner in the prison facility. On investigation, she claimed that the consignment was given to her by one Miss Victoria Chinwuba, her younger sister, to deliver, claiming ignorance of the contents. Humphrey said although the statement was corroborated by Victoria, the younger sister Chinwuba, equally claimed ignorant of the contents of the carton as she was merely asked to collect the item from a courier service provider. They have been handed over to NDLEA for investigation and possible prosecution. The Controller of Prisons, FCT Command, Mr. Sylvester Nwakuche while commending the staff for a job well done, warned that stiffer punishment awaits anyone caught compromising security in and around the prison.